There are currently 91,228 users on this website. How To Tell A 1963 Kennedy Us Note? I was hoping to add another piece of US history to my collection. How can I tell a President Kennedy issued 1963 United States Note? I know Fed notes have the green seal, United States Notes have red but how can I tell the exact ones that were issued by the executive order 111110? By the way this is my first post and I am glad I found this forum. I think you are referring to a green seal 1963 note from the Dallas BEP. I have never heard of anything like that. Maybe you could explain further. On June 4th, 1963 President Kennedy signed executive order 11110 which allowed the US government to make it's own money and bypass the Federal Reserve. 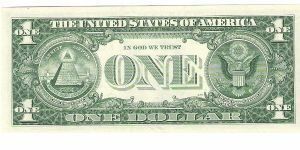 The 4+ billion dollars of United States Notes (backed by US gold and silver) were put in to circulation in denominations of $2 and $5. The $10's and $20's were printed but never released as he was assassinated and the program was shut down. I was hoping someone here could help me figure out how to correctly identify these specific US notes so I could acquire one. okay I know what you mean know. 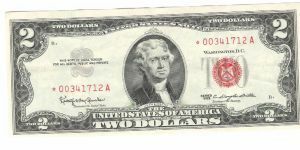 Red seals $2.00 with the funny back (Monticello) reverse. They were called United States notes. Thank you scoutjim99 for looking in to this! Was the example you posted only printed in 1963? 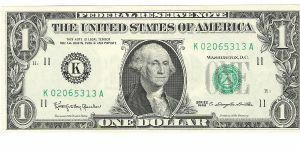 The notes printed by the executive order 11110 were only printed in 1963. I have seen similar notes like you posted in the past but I have not been 100% sure they were the notes that I am looking for. I am hoping to find some definite description of these Kennedy issued notes. This is the only note that I know of called a Kennedy note. that does not mean that I am correct and you are wrong. It is the only relevant answer that I know of. Ok I found one! 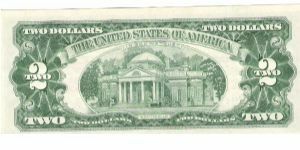 here is a picture of a $2 note, if you look above Jefferson in this picture you will see the heading "United States Note" instead of "Federal Reserve Note"
From the way it looks you would be hard pressed to find a 1963 series note that wasn't a "United States Note" because unlike coins notes don't change their dates every year, they only change the dates where there is a change in design so chances are if its a 1963 note red seal it is a US Note that was created because of this bill because I haven't seen a Federal Reserve Note with that date on eBay except for the $1 barr notes that are dated 1963 and they have the regular green seal. Thanks for looking in to this!! I agree that this is the most likely case. I went to my local shop to get both the $2 and $5 notes BUT of course they were closed, lol. I will pick them up on Monday. I also bought the $1 1963 K note as shown in scoutjim99's post. I noticed mine is signed by Henry H. Fowler and his is signed by C. Douglas Dillion. Does anyone know the significance of this? It took 2.95 seconds to rattle this change.